I can understand it, appreciate it even, the insane obsessiveness of the combination fangs + hot guys that is vampires. Being a fan of the fantasy genre myself, I am genuinely happy that this wave of undead heroes has brought more supernatural and out-of-this-world literature to the spot light. However, that’s also where my appreciation start to diminish. I would classify myself as fairly open-minded when it comes to literature — as a child I would read anything I could get my hands on, I always preferred reading a book over playing with other children (my parents feared I had no social antenna) and my close friends usually like to tease me with reminding me that I’ve probably read half of the local library — but I can’t help but frown whenever I stand in front of the top 10 shelves in book shops. About half of the space is occupied by a variation of paranormal romance, and being the romantic sucker myself I should rightfully be thrilled; but I’m not. Picking up a title with anything suggesting vampires makes me feel slightly uncomfortable as I’ve never been a big fan of paranormal creatures such as vampires and werevolves. Don’t get me wrong though, I won’t disregard the books just because of that dislike. Like I said, I’m fairly open-minded so I will still bring the books over to the counter and dish out the cash. There are a few vampire series that I think are fabulous such as The Morganville Vampires and the Darren Shan saga, and I used to be such a big fan of Twilight as well. With that said I believe it was the well-developed characters that got me sucked into the story (alright, no more bad puns) and not the fact that there were vampires present. I’m pretty sure that had you replaced the vampires with some other badasses it would still have been great. Don’t worry though, I’m working on it. For now I will feel uncomfortable whenever there’s a vampire title in my hands, but I will still give it a try. What I’d prefer in the vampire genre are the more Dracula-esque bunch, rather than the sparkly vegetarian Edward Cullen-bunch, hahaha :) Even in my anime/manga obsession years, I couldn’t maintain interest in the Twilight of the manga world, Vampire Knight. Understandable, very understandable. 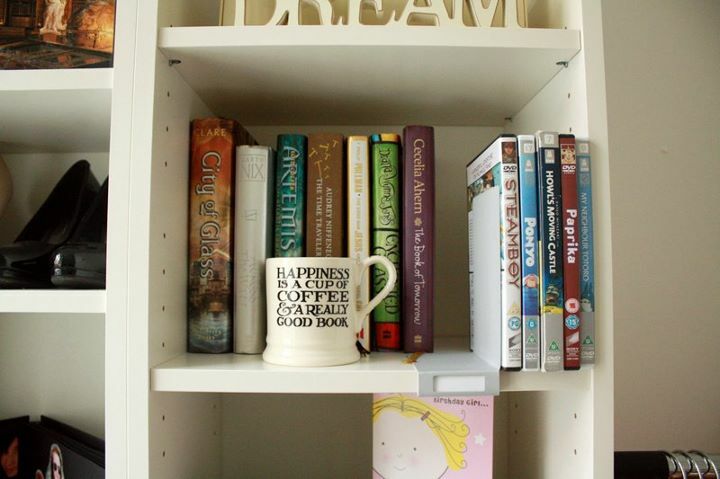 Ah, cheers to being a child bookworm! We are awesome <3 Please tell me your top 5 (you can add more if it’s impossible to only pick 5) all time favourite books/book series?